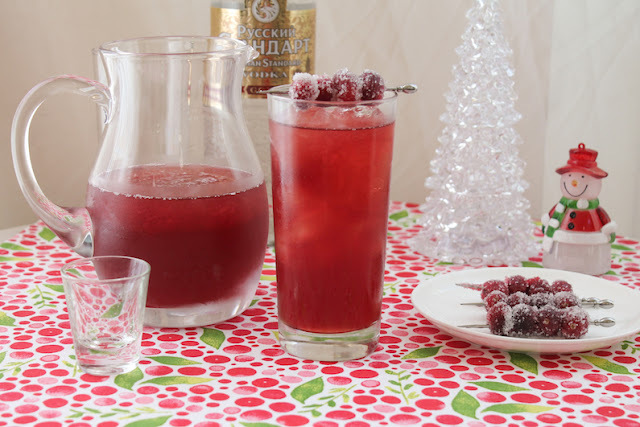 Pretty to look at, even more delicious to sip, this mulled cranberry vodka cocktail boasts the best flavors of the season in a refreshing drink that goes down way too easy. Mix up a batch for your holiday party! My younger daughter is a fan of mulled wine. I can take it or leave it. But I think I have finally found a mulled drink I do love. 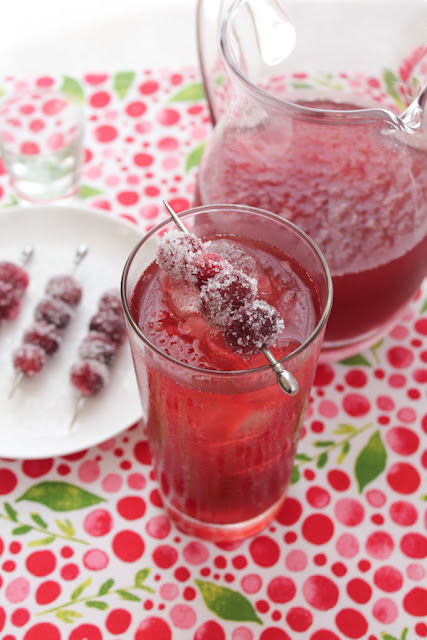 Mulled cranberry juice is lighter than wine and lends itself to a cold cocktail as easily as a warming cup. I also chose not to simmer the juice with the spices for hours on end. A quick boil and time to infuse while the drink cools gives just the right amount of seasonal spiciness that is not cloying or overwhelming. The tart cranberry still shines through brightly. And look at the beautiful color! Have I convinced you yet? Do give this a try. 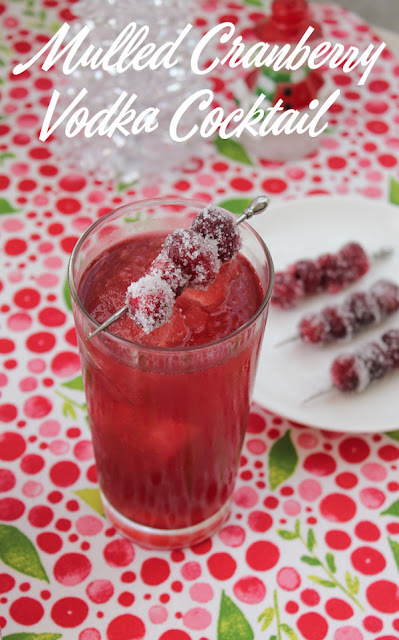 And make sure you scroll down to see the rest of the winter cocktail recipes my Sunday Supper group are sharing today. Use a sharp knife to remove the zest from half of your clementine, leaving behind as much of the white pith as possible. Add the cinnamon stick, cloves and clementine zest to the cranberry juice in a medium sized pot. Bring the juice to a boil. Boil briefly, about 3-4 minutes, then turn the heat off and leave to cool. Once cool, strained the mulled cranberry juice to remove the spices and clementine zest, then chill it in the refrigerator. Wash the cranberries thoroughly and dry them in a colander until just damp. 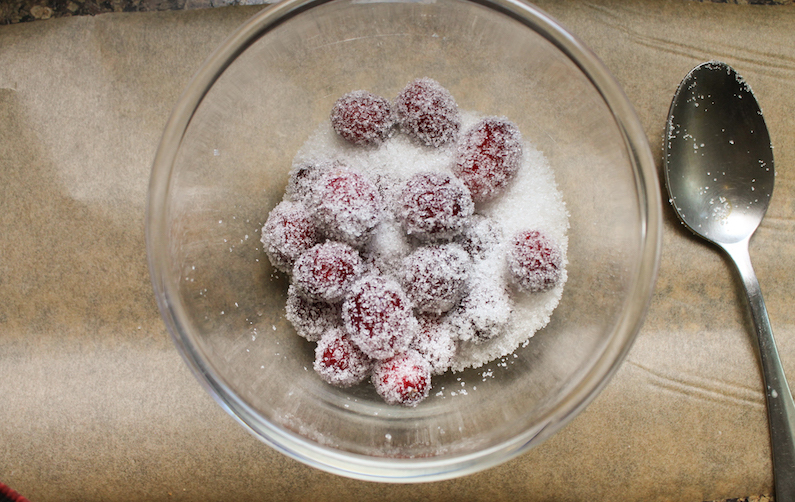 Roll them in the sugar until completely coated. Use a sharp cocktail stick to poke through three or four per stick to create the garnish. Set aside on a clean plate sprinkled with a little more sugar. When you are ready to serve the mulled cranberry vodka cocktail, fill your glasses with 5-6 ice cubes. Add in the vodka and top up with mulled cranberry juice. Garnish with the sugar-coated cranberry skewers, if desired. 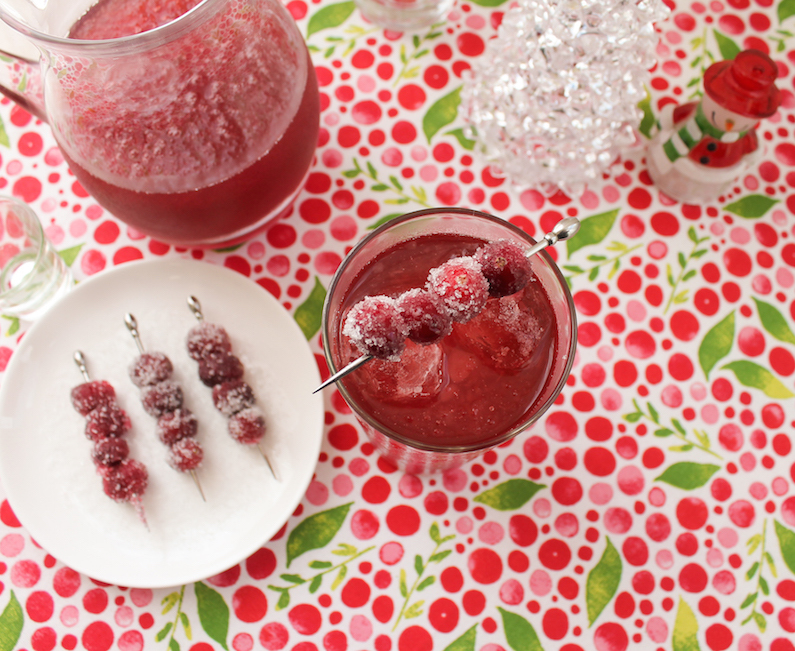 Check out all of the winter cocktail recipes we are sharing today. Many thanks to our event manager, Christie from A Kitchen Hoor’s Adventures.